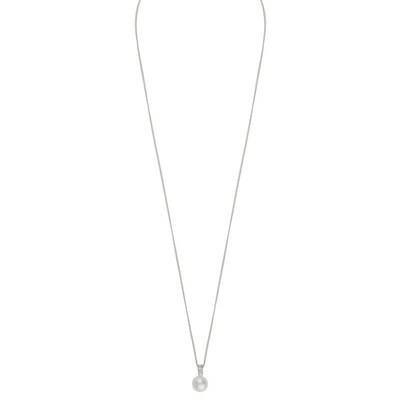 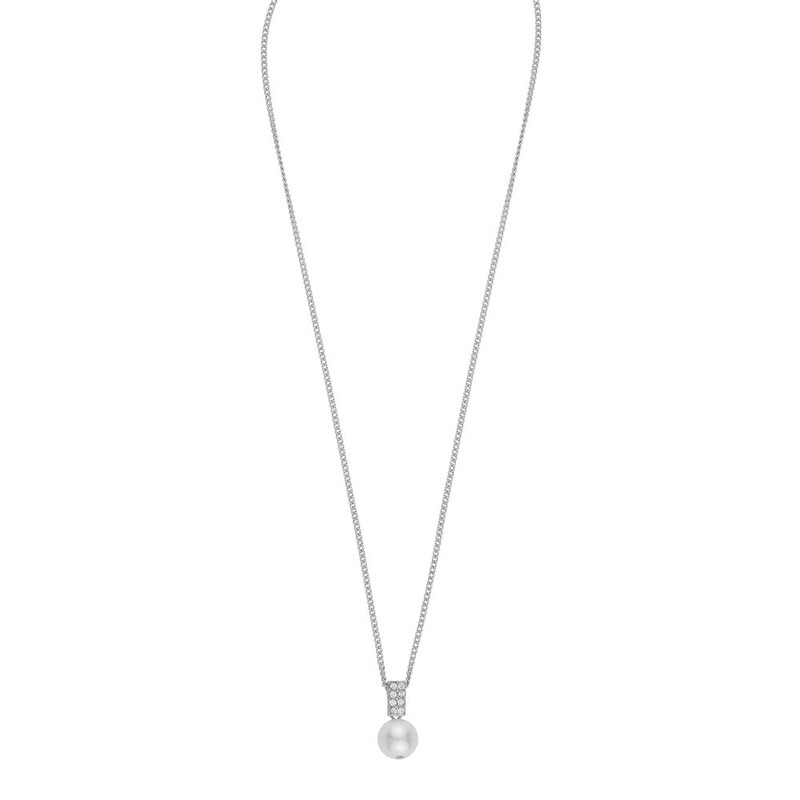 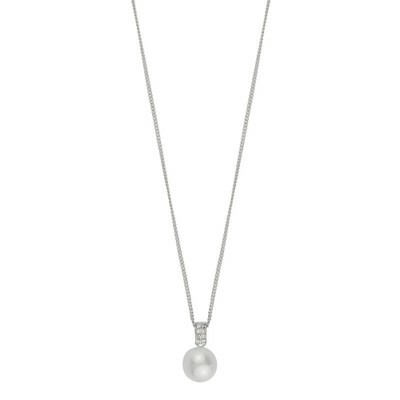 Chloé Long Pendant Necklace in silver/white. 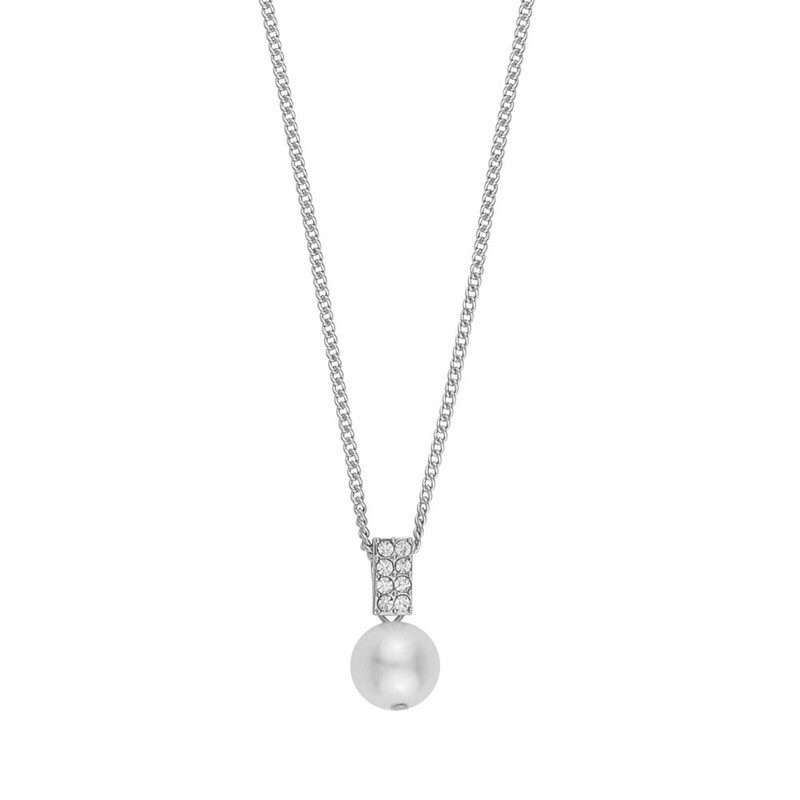 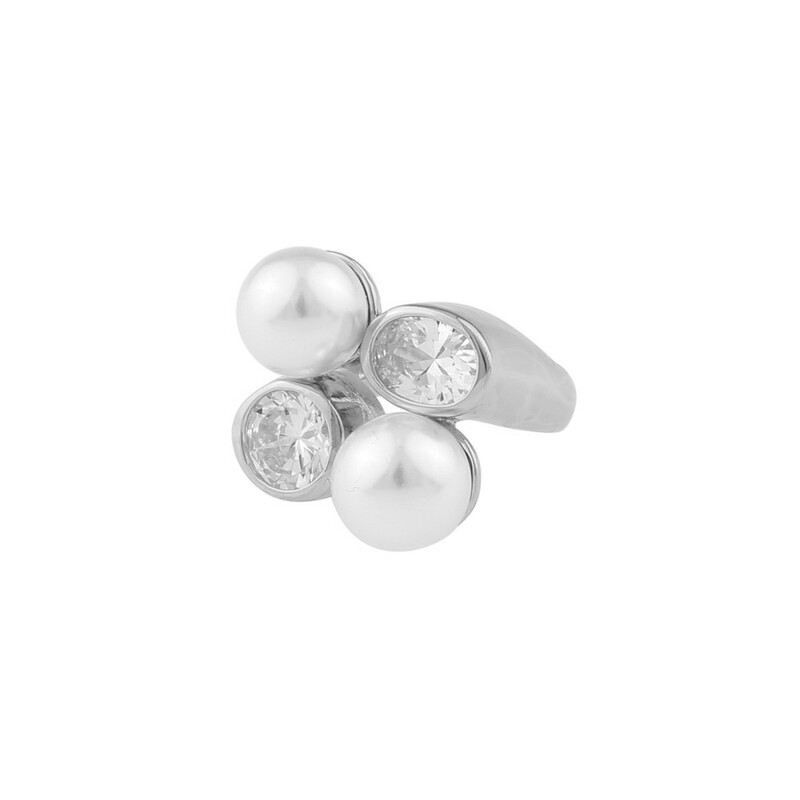 Elegant pearl pendant adorned with small stones. 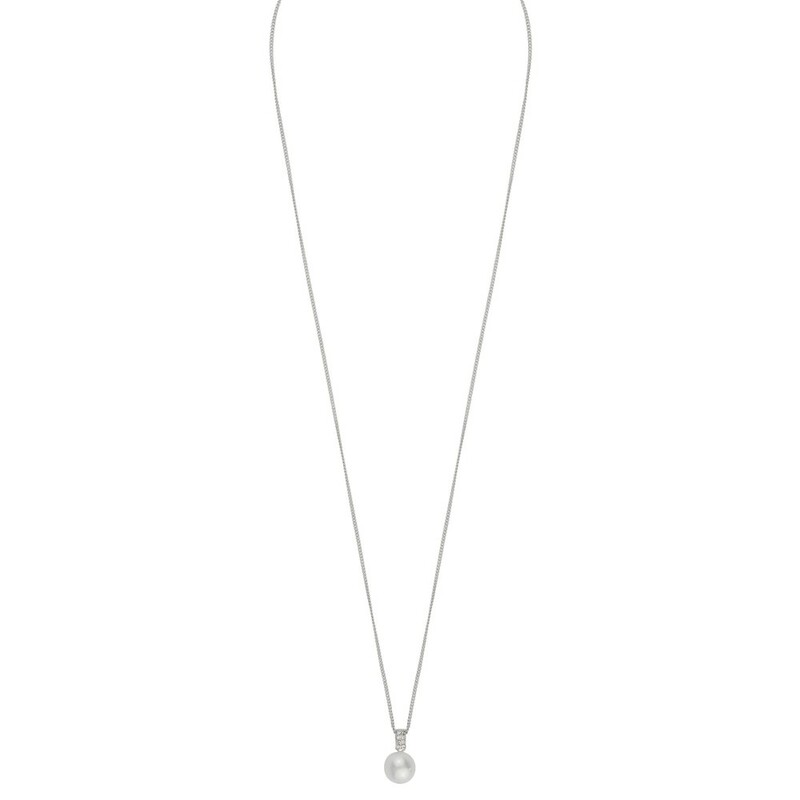 Here in the longer version with a lenght of 80 cm and a slightly larger pendant. 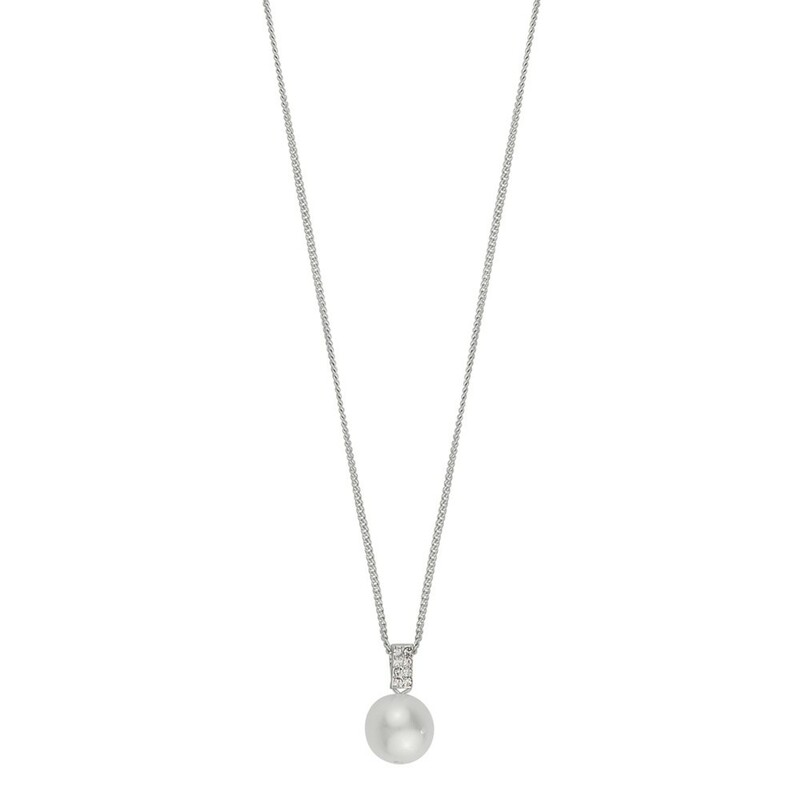 Beautiful to mix and match with other necklaces of different length.